Nestled along the banks of Sims Bayou is a rare gem of a neighborhood where each home is one of a kind, with plenty of room to breathe. Garden Villas is eight miles from downtown Houston and two miles outside the 610 loop, yet feels like living in the country. Groups of peacocks amble freely through the open spaces, two extensive neighborhood parks provide recreation opportunities, and hundreds of mature pecan trees create gentle canopies over the streets. From high above, Garden Villas is very green compared to downtown Houston and the surrounding neighborhoods! The "standard" lot is 7/10th of an acre - about 32,500 square feet. Plenty of room for a garden, a pool, fruit trees, pets, and perhaps a few chickens, if you'd like. 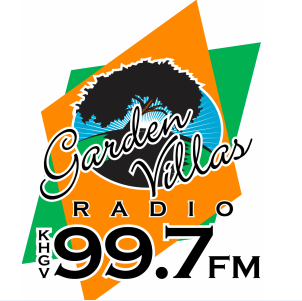 Listen to our community radio station, KHGV 99.7FM, either by tuning in with your radio or streaming online. The station broadcasts directly from Garden Villas and is operated by long-time residents who are dedicated to helping our community. KHGV is non-commercial and plays hits from the 1950s through today. It also features original educational and cultural programming that enriches our neighborhood and the surrounding communities. Garden Villas is in Houston, Texas, within the 77061 ZIP code. We are bordered by Sims Bayou to the north, to the west by Mykawa Road, to the east by Telephone Road, and to the south by Airport Blvd. Getting to work from Garden Villas is easy! Many residents are employed in downtown Houston, the Texas Medical Center, and across the inner loop. Others work in Pearland, Galveston, and beyond. You'll enjoy quick access to I-45, I-610, SH 288, and Beltway 8. Or skip the freeways and take Telephone Road straight downtown, where it becomes Leeland Street. Garden Villas Elementary has an award-winning Music Magnet program, and Mt. Carmel Academy is a public charter high school, both within the neighborhood. Several of Houston's colleges and universities are also nearby, including the University of Houston, Houston Community College, Texas Southern University, and Rice University. Are you interested in buying a home in Garden Villas? Click here to view the HAR website with all current listings for sale. Add your information and click Subscribe to stay informed about the latest news from Garden Villas via email. If you live in the neighborhood, you can also view our announcements via Nextdoor (join above)! We promise not to share your email address with any other organizations, and you can unsubscribe at any time. Garden Villas Community Association, Inc.